Our roofing company is based on quality workmanship, honesty and reliability since 1978. We specialize in residential, commercial and industrial roofing. We use only the best materials and are dedicated to completing each project in a timely manner. 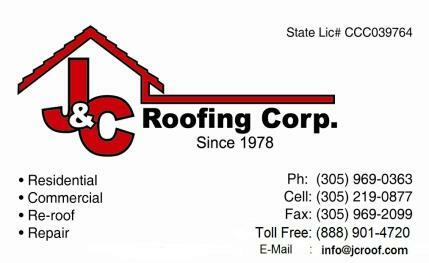 We have the best roofing system for your home and business. We're committed to helping you figure out what best fits your needs and budget. We're happy to answer all your questions and to give you a free quote. We are state licensed and insured. Se Habla Español !